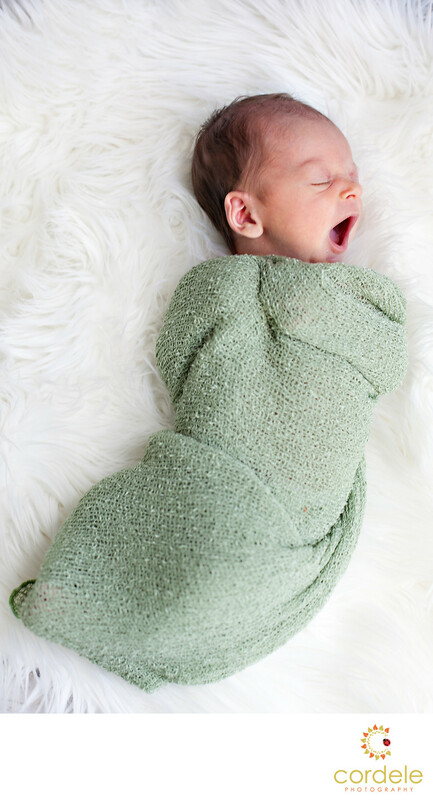 A baby on a white lambskin rug wrapped in a green scarf! Is there nothing cuter! This is baby E and she was a sleepy little thing! She didn't want to totally fall asleep and was yawning when I grabbed this photo. She was a small little baby with a big personality. The entire time we were shooting, she wouldn't stop moving her legs. Newborns can be hard to take photos of if you don't have the right elements in place.